Dumbo goes from pariah to main attraction the moment he starts using his ears to take flight. The act attracts the attention of a circus mogul (Michael Keaton), who claims to be an artist at heart, but turns out to be another greedy capitalist who Zuckerbergs everybody.There is a kernel of tragedy embedded in Dumbo’s story that makes it instantly compelling. Much in Tim Burton’s wheelhouse, the elephant is an outsider, separated from his support system (his mother), depending on the kindness of a few in a hostile environment. This portion of the film works like gangbusters: Farrell brings the melancholia and Danny DeVito (as the circus owner) his trademark sliminess. 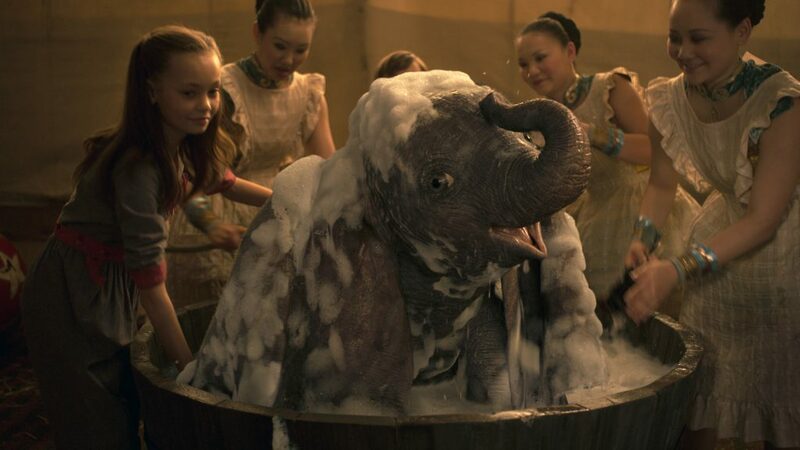 Burton hasn’t lost his touch and Dumbo is an amiable family flick. Just be aware they both can do better. Three planets.